A masjid (or mosque) is a place of worship and prostration for Muslims. The term masjid comes from sajdah (prostration). So nothing is prostrated to or worshipped in the Mosque (plural: masaajid) except Allah. It is very likely that wherever you are in the UK or Europe, there is a mosque not too far away. If the local Muslim community is small, the mosque may only be a room set aside for prayer, or a small converted house or an apartment or shop front. Purpose built mosques can be found in towns and cities, like Birmingham, which have large Muslim communities. These will hold many worshippers and provide all the facilities needed for prayer, and often much more. One of the largest mosques in the UK and maybe the most famous is in Regent’s Park, London. It was designed to hold 4,500 people for prayer, and in the summer another 1000 people can worship in its open-air forecourt. 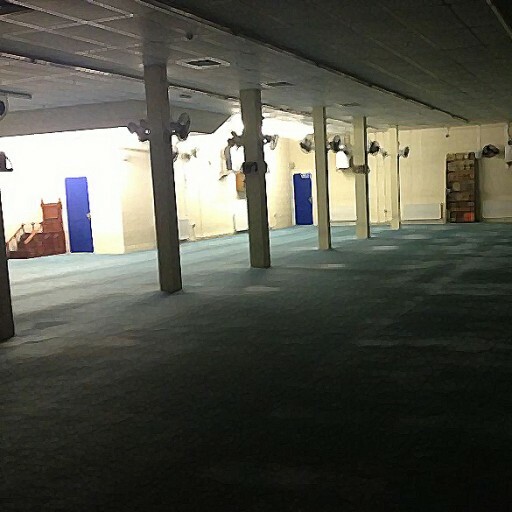 In East London a church was recently converted into a Mosque, called Masjid Abdul-Azeez Ibn Baaz. In Birmingham also, we have two Salafi Mosques: “The Salafi Mosque” in Small Heath and “Masjid as-Sunnah an-Nabawiyyah” in Aston (another converted church building). Mosque Design: The Qur’an and Hadeeth do not mention specifically what a mosque should look like, but the Muslims do find an example in the Prophet’s Mosque in his time. It was basic and simple, free from worldly distractions. Salafi Muslims in general take that example and therefore do not unnecessarily decorate their Mosques, and they do not see any obligation in ornate domes and minarets. However, there are certain features that are shared by all mosques. They are all positioned so that those using the prayer hall will be facing Makkah. Some mosques are easy to recognize because they have a dome and one or more towers (minarets). There is a symbol at the top of many minarets or domes of the crescent moon and star. People mistakenly think that these are a symbol of Islam just as the cross for the Christians and the star of David for the Jews. In actuality there is no such symbol of Islam. Some mosques have stonework, which may be decorated with Islamic script – again this is not necessary, nor the practice of the Prophet (salallaahu ‘alaihi wassallam). Minaret and dome: In the past, the minaret was used by the mu’adhin who would call Muslims to prayer. Nowadays it is purely decorative. In some countries it contains the loudspeakers through which the call to prayer is played. The dome sits above the prayer hall. Its design helps the sound of the prayer to carry all around the prayer area and to keep the prayer room cool. It is often beautifully decorated inside and out. When a mosque has four minarets and a dome, it is said (by some) that they symbolize the Five Pillars of Islam! Rooms for ritual ablutions (Wudoo facilities): Mosques need somewhere for worshippers to perform wudoo. This can be a courtyard fountain or special ablution rooms near the prayer hall. 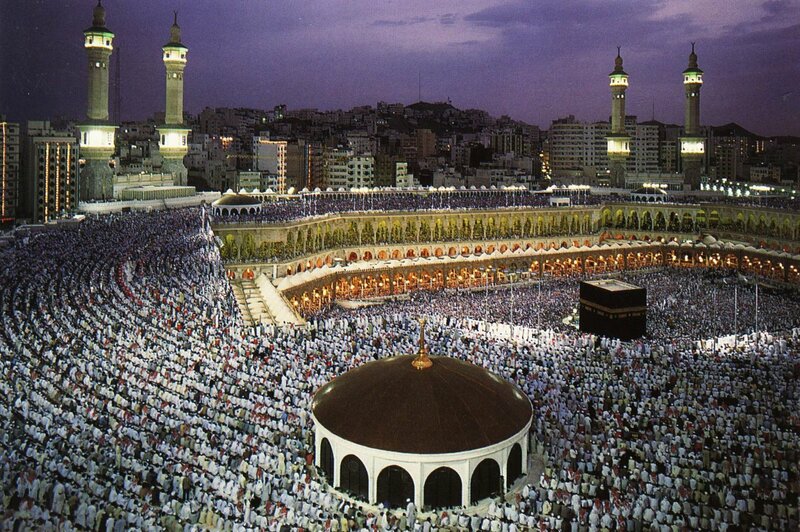 Large mosques which hold many people need very large wudoo rooms. This is because everyone needs to perform wudoo at the same time. The “Hasan II Mosque” in Morocco can hold up to 25,000 worshippers inside and up to 80,000 outside. It has two large wudoo rooms, one for women and another for men, built underneath the mosque. Summary: You should now be able to describe the outside of a Mosque, identify the main external features and explain their significance as some Muslims see it. You should also know that overly decorating mosques with domes and minarets is not something advised by the Prophet (peace be upon him). “Do not prevent the female servants of Allah from visiting the mosques of Allah. They may go out (to the mosque) having not perfumed themselves.” (Abu Dawud) So women must not be prevented from visiting the mosques. The largest mosques in the world are in Saudi Arabia: Al-Masjid al-Haraam in Makkah, Al-Masjid An-Nabawee in Madeenah, and Masjid Quba in Madeenah. Look up these Mosques on Wikipedia and compare their sizes to your local mosque. There is a large mosque in Istanbul in Turkey called the “Blue Mosque” that tourists often visit. Look it up on Wikipedia and find out what tourists must do before entering. 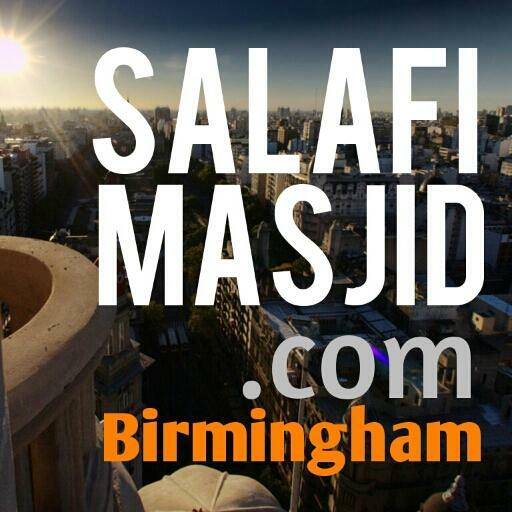 Visit the website salafimasjid.com and masjidIbnBaz.com and find out about these mosques. I initially compiled these worksheets for my students at the Redstone Academy (aged between 13 and 16 years), Moseley Road, Birmingham, UK who are working towards their General Certificate of Secondary Education (GCSE). I felt that others who do not attend the school could also benefit from these topics since they are presented in simple bitesize chapters. I have relied upon GCSE text books (especially AQA Religious Studies) and adapted them for my classes.